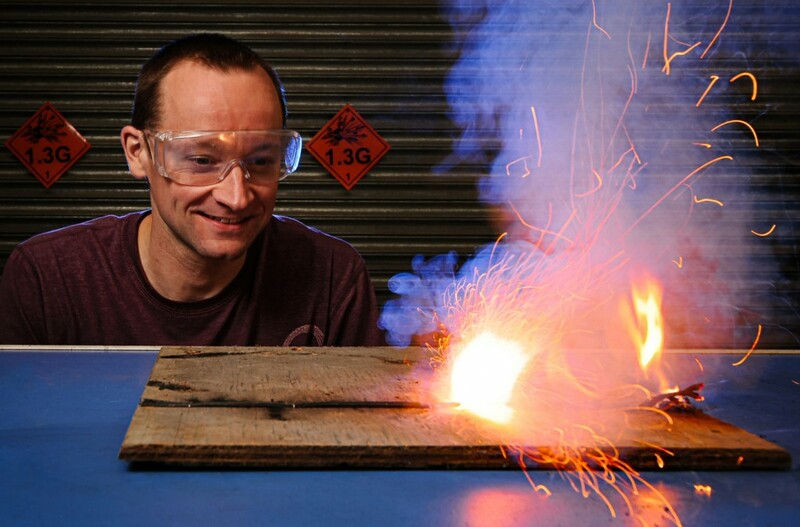 Matthew Tosh has taken the live science show world by storm with his shows and performances about fireworks and stage effects. When it comes to uncovering the behind-the-scenes workings of spectacular live events, Matthew Tosh delivers every time with passion, enthusiasm and showmanship. 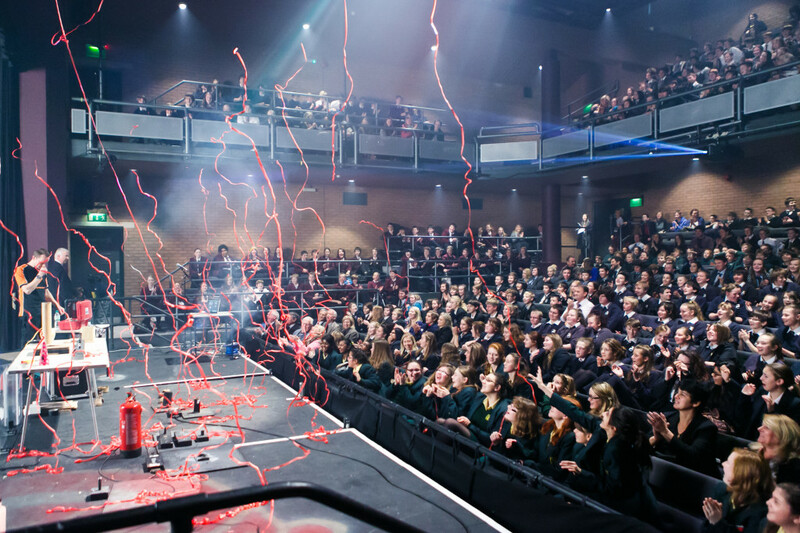 It’s no wonder that, when it comes to uncovering the secrets behind pyro and stage effects, Matthew is the number one choice for schools, colleges and festivals up and down the country. He’s both an experienced presenter and a professional pyrotechnician, working on events and productions all over the UK. You always get the real deal with Matthew! He tells it how it is. Matthew is a former teacher and seasoned broadcaster. He first started giving talks about fireworks in 2008. He is professionally qualified and has over twelve years experience in the firework industry. In fact, he’s even qualified to train the professionals! His work is internationally recognised by the firework and special effects industries. In May 2017, Matthew was invited to speak at the 16th International Symposium on Fireworks in Japan to show how he is leading the way in public engagement with firework demonstrations, special effects, safety and behind-the-scenes vlogs. His work is growing in popularity amongst professionals worldwide. In recognition of this, he has received invitations to help with firework displays around the world, including Australia, UAE, USA, Canada, France and the Caribbean. Matthew has earned trust to bring spectacular pyrotechnics demonstrations safely into historic and listed buildings including the Royal Institution of Great Britain and Leeds City Varieties Music Hall, as well as newer, larger venues such as Birmingham’s NEC and Belfast’s SSE Arena. Add in tents, carpets, chandeliers, projector screens, high winds, torrential rain and sea spray… he’s worked with all of these and loves the challenge of an unusual environment! These aren’t just lectures or talks. Matthew’s skill is in writing and carefully crafted showmanship. He will deliver a performance that will have your audience on the edge of their seats with excitement, laughter and sheer fascination. He brings together his television presenting, teaching, stage-management, special effects and pyrotechnic expertise into a unique package. He’s been known to fill a nightclub (in the day!) and showcase special effects such as lasers, fog, lights as well as stage pyro effects. He has taken over fields and created enormous outdoor science shows, all backed up with sound science explanations, a sense of humour and his infectious enthusiasm. Matthew is a member of the Association of Stage Pyrotechnicians and is registered with the British Pyrotechnist’s Association. He is a member of the Broadcasting, Entertainment, Cinematograph and Theatre Union (BECTU, a sector of Prospect) and holds the Institution of Occupational Safety and Health (IOSH) Creative Industries Safety Passport. You can be assured of expert knowledge, coupled with a thoroughly professional and safe approach. All of his work comes with £10m public liability insurance, as standard, along with dedicated specialist support to ensure that your event runs smoothly.